Our company is built on connecting over 100,000 customers to their friends, family and loved ones back home. Yet those connections go far beyond a chat with mom or catching up with an old friend from school. If you listen closely enough to what ex-pats have experienced, you’ll also notice a distinctly human connection with people you don’t even know – and perhaps, a connection to your inner self. We asked expatriates here in the United States (originally from foreign countries) and overseas what unique challenges and culture shocks they had to overcome. Thanks to everybody who responded – here are some of the best ones we received. Itai Leibowitz, Israel to New York, co-founder of Wanderant. 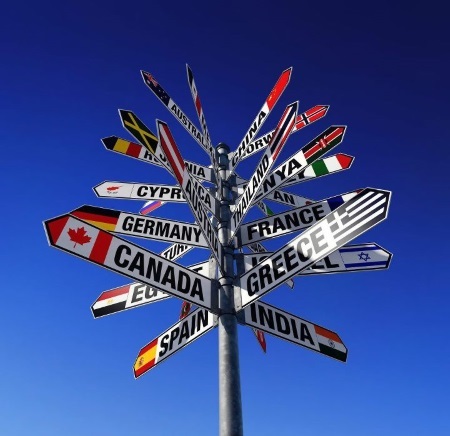 What was the biggest culture shock when you moved to a different country? Adjusting the tone of conversation. Back home, people are very direct. They speak their mind without any hesitation. If they don't agree with something you said, they might very easily say "that's stupid, you're wrong". In NA, that kind of directness would be interpreted as rudeness, and I personally stumbled many times, insulting colleagues or new acquaintances by speaking my mind. There's just a more polite way to say things that I had to learn. What food from home do you miss most of all? The richness and variety of fruit and vegetables, my mom's home cooking, and the terrific gelato that I can't find in the states. Belgian fries! In Belgium, there's a stand to buy fries on every corner it seems. And good chocolates, although there are some specialty shops in the big U.S. cities that import hand-made Belgian chocolates. What are tips for finding a community of people from your home country? Facebook. There are many Facebook groups for Belgians living abroad. For example, the Facebook group of Belgians living in or near Phoenix, Arizona meets on a monthly basis in real life. These meetings usually take place at the Belgian chocolate store in Scottsdale "Chocolade van Brugge" which is also run by a Belgian by the way! Last month, the Belgian consul to the U.S. joined the group. The super-sized portions, the huge variety of every type of food available in grocery stores and the number of food items that don't require refrigeration, such as burgers in vending machines, dehydrated shelf dinners, etc. Rusks, Jelly Tots, Milk Tart, and Karoo Lamb. Facebook Groups, Ex-Pat Magazines and MeetUp.com. As a side note, while the adjustment was hard initially, living in America is the biggest blessing. I have had opportunities I could never have dreamed of before. In my 5 years in the US, I have been able to launch my own business (Create the Dream) and write the bestselling book, PALEO Cleanse. It can be found online at CamillaCarboni.com. Whilst I imagined that the USA and the UK would be similar and different, driving etiquette is one such thing that confused and bemused me. Undertaking on the inside lane, road layouts, exit and entry slip roads that merge, you name it. Also, the wild fan base for both football and baseball continues to astound me - everyone (from toddlers to grandmothers) goes crazy here on the East Coast in their orange and purple for the Orioles and the Ravens. It's nutty! In addition, food has been interesting - portion size, how much there is, how much people eat out and the range of restaurants. Plus, how many TV screens there are in bars! What's up with that, America?! I miss proper crisps like Wotsits and Quavers - in normal sized bags - not ones that feed your whole family, but that people actually just eat in one sitting. And I miss Bovril on toast, using bread that is not super sweet and filled with sugar. And roast dinners - I've not made one yet in the USA that is perfection UK style. What is your favorite way to keep in touch with your friends and family back home? My blog www.ukdesperatehousewifeusa.com has helped friends and family know what I'm doing and where we're travelling and what life is like out here. someone didn't know, instead of just saying that, they'd send me on a little "lost" adventure. Talk to people, get involved, ask questions. There are Meet Up Groups all over the world. I've written a lot about life as an expat on my blog, if you want to check it out, visit www.dtravelsround.com. Rely on your friends and family back home, but make a real effort to make new contacts. It's hard to make new friends - especially when you're working really hard and traveling as much as you can - but it's key to making your new country your home. Identify a handful of things you really miss about home and incorporate representations of them into your life. We have some eucalyptus trees in our backyard and some Mint Slices (the best cookie on earth, in case you've never tried one) in the fridge. I still read Australian news and watch Aussie movies sometimes. Embrace the food, art and culture of your new home as much as you can. I spent a year complaining about American coffee but now I'm thankful that every diner has a bottomless cup and it's always served with a smile.As these answers illustrate, it always helps to stay connected with your home country, even as you’re trying to “melt” into the melting pot. We’ve helped thousands of ex-pats over the past few decades keep in touch with loved ones all over the globe. It’s the thousands of stories like these that inspire us to deliver the best possible call quality, affordable rates and unmatched customer service. If you’re an expatriate looking to call home, VIP Communications has a plan for you. Get in contact today by visiting our contact page, or email our long-distance call consultants at [email protected]. You can also call us (Canada & US) at (800) 836-5004.